You probably know that there are more manufacturing jobs than there are people to fill them now. However, you might not know how large the labor shortage will be. By 2025, the US is projected to need 3.5 million manufacturing jobs filled but only be able to fill 1.5 million. This will leave 2 million manufacturing jobs unfilled. If you still want to be in business by then, you need to figure out how you want to fill that employee gap. Fortunately, there are some options. With recent progress in robotic AI, there are now more options for robots on the shop floor. While robots in the past had to be kept in cages to prevent accidents, there is a new generation of robots called cobots that can work collaboratively with humans. Cobots have more advanced safety features that allow humans to be able to work alongside them without the cage. Cobots are also smart enough to be able to learn new tasks, so if the needs on the shop floor change, the cobots can change to meet them. However, no robots are able to completely take over for a human. At this point, robots and cobots are only able to do repetitive, mundane tasks. These tasks are probably the ones that humans don’t want to do anyway. Being able to give workers more interesting tasks will make your shop look like a more attractive place to work, which will be important in appealing to the younger generation. 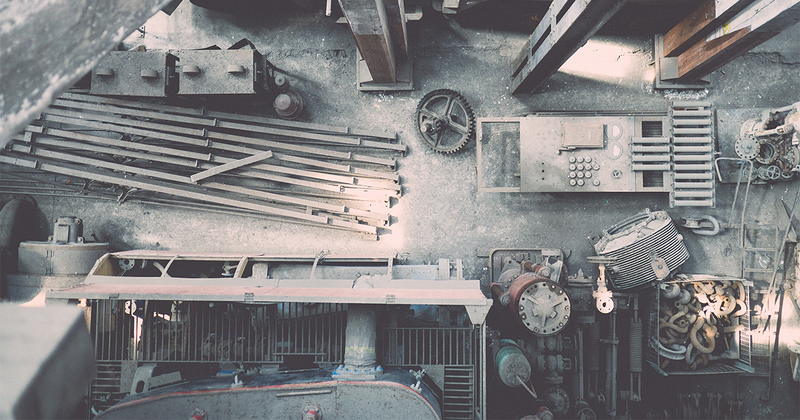 With the reduction of shop classes in high schools, and the widely-held belief that industrial companies are “dirty, dark, and dangerous” places to work, it is hard to encourage the next generation to go into manufacturing. However, there is a solution for this as well. Many manufacturers are partnering with trade schools to offer apprenticeships. Many of these apprentices start in high school, working part time, and then go on to trade school, still working part time. This allows students to make money while they are earning industry-wide certifications and going to school, which makes it more attractive for them to try manufacturing. Some companies are going beyond this and sponsoring building contests for students in fourth through eighth grade to get them excited about working with their hands before these kids begin to decide what career they want. Adding cobots to the shop floor and bringing in apprentices will help you in the future, but you need to have solutions now to keep skilled workers in your shop. Fortunately, there is something you can do now. The longer the baby boomers are willing and able to work, the more time there is for them to pass down their knowledge to others. One way to keep them in your shop longer is to make it easier on them to work. Adapting the workplace for baby boomers not only makes their jobs easier, but it makes everyone else’s job easier as well. As people age, it gets harder to stand for long periods of time, to reach and grab, and to see, among other things. Make sure you’re addressing these needs for the baby boomers in your shop. Anti-fatigue mats or shoe inserts can make a big difference in leg and foot pain. As for reaching, no worker should be reaching more than 22 inches to work, especially if they are holding tools. For precision work, reach should be 11 inches or less. If your workstations are too large, employees might have to reach too far, which could add to injuries or increase fatigue. To make your shop brighter and make it easier to see, start by cleaning the lights and routinely cleaning them every six months. This is an easy way to potentially make a dramatic difference. None of these changes need to be wide-sweeping immediately, but gradual improvements to a shop will help older employees be able to work longer and make work easier for younger employees as well. There are many ways to prepare for the projected shortage of workers. These are three of the most effective, especially when used together. Throughout this post, there are links to more detailed articles for your reference. Although this projected worker shortfall will be serious, with some preparation, you can lessen the impact it will have on your shop.